Petco Waikele celebrated it’s grand opening with a traditional Hawaiian blessing performed by Kahu Silva. Chris Leideritz, Hawaii district manager and Harry Gonzalez, store manager along with the Petco employees (working ohana) unraveled the sacred maile lei and welcomed all of the invited guests to add their positive energy and blessings for much success in the community. 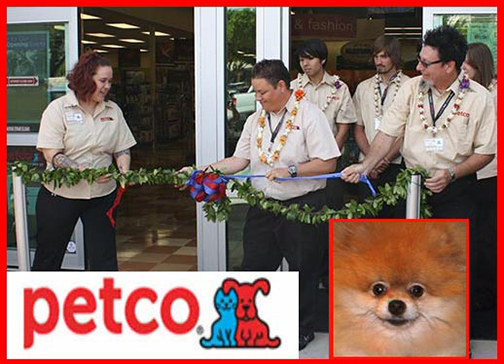 As a pet lover and owner of 2 pomeranians and a cool cat with a special talent of opening all the doors in the house, Kahu Silva was especially happy for the chance to bring Ke Akua’s (God’s) blessings to Petco. Petco believes “pets make us better people – they enrich our lives and strengthen our communities” and Kahu firmly agrees. Our faithful and fun companions who give us unconditional love, joy, laughter and therefore keep us happier and healthier, are an important part of our ohana. Every family should have a pet as long as they are responsible pet owners and Petco is the place to go for help. Several weeks later, Kahu also had the pleasure of performing the marriage ceremony for Chris and his beautiful bride Natalie at Paliku, Kualoa Ranch. The couple chose the beautiful and most requested Lei Alohalani ceremony which included Kahu’s “signature” ceremonial lei exchange which was accompanied by Kahu presenting a very ancient oli lei aloha (lei chant). The newest Walgreen’s store at Market City, Kapahulu officially welcomed patrons as Kahu Silva presided over the grand opening which included the sacred pi-kai (spiritual cleansing ritual), the hoowehena (unraveling) of fragrant maile lei at the store entrance and the sharing of oli aloha (welcoming chants) by Kahu to honor those present at the occasion. 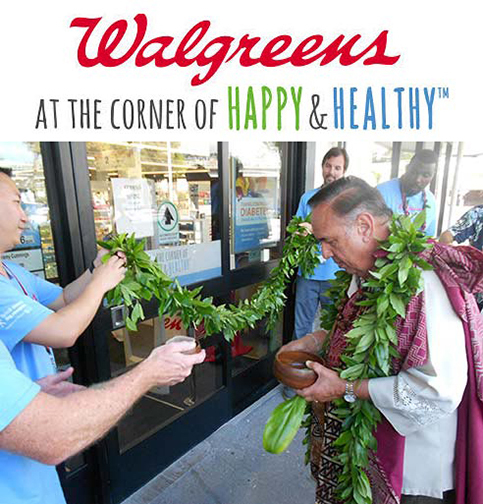 Highlighting the festivities was an inspirational closing pule (prayer) offered by Kahu to help unite Walgreens management and staff in the spirit of aloha as a working ohana (family). Upcoming blessings include the second of 2 ceremonies for the gravity sewer tunnel project connecting Kailua and Kaneohe, the grand opening of Crossfit KBlock gym, and Oceanic Time Warner Cable’s new Waimanalo Fiber-Optic Signal Distribution Center in Waimanalo.